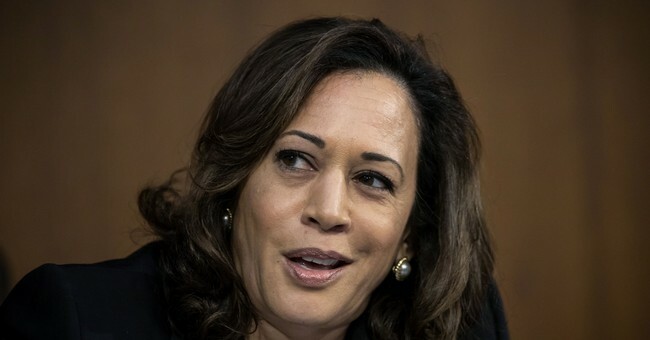 "I believe it's a false choice born out of a lack of courage from leaders who must recognize and agree that there are some practical solutions to what is a clear problem in our country," Harris said. "And part of the practical solution is to agree that we need smart gun safety laws, which include universal background checks, which include the renewal of the Assault Weapons Ban. Period." 1) Universal background checks sound great on paper but are horrible in practice. Democrats want to expand background checks for every single transaction, including private party transfers (PTTs), like what would take place between family members and friends. But here's a fact they can't seem to wrap their head around: The National Instant Criminal Background Check System, commonly referred to as NICS, isn't a complete system. Only 38 states provide their criminal convictions and even then, they're not providing 100 percent of those convictions. They're only providing 80 percent. So how would expanding a flawed system prevent any kind of mass shooting? They might want to consider making the system hole, through Fix NICS, before they consider any kind of background check expansion. 2) Plenty of mass shooters obtained their firearms legally. They had no previous criminal history. If they don't have a criminal history and they passed a background check, how would expanding said system have changed it? Oh. Right. It wouldn't. 3) The black market. Enough said. Democrats need to quit treating gun owners like we're uneducated, rural, country bumpkins. We're smart. We know public policy. We know the Constitution. And we're going to fight like hell to protect our Second Amendment rights.